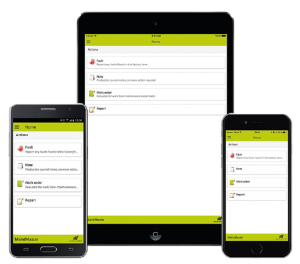 The app creates a mobile workplace allowing all information to be recorded in real time. The more information, the better the overview. With a complete picture of the work flow, you can also create a safer operating environment. By applying a few simple measures, you can improve efficiency and increase production while boosting your company’s profitability. An age where rationalization is essential demands a maintenance system whose performance goes way beyond expectations. 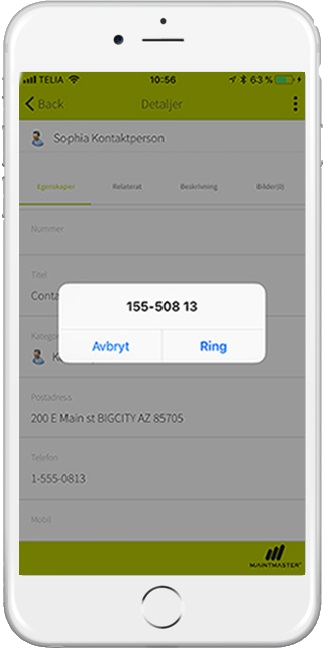 It’s why we developed the MaintMaster app, a mobile CMMS – a solution that provides you and your employees with full access to the system’s key functions anywhere, and at any time. To make sure the right things get done at the right time. Create a defect report, clock in at a job and report everything you do as soon as it happens. The app has the same menu structure as your desktop version; all the information remains the same and you’ll find it as straightforward as you always do, no matter where you may be. Contact the person who created an order in the system directly from the app via email or phone. With our search function, you always find what you’re looking for. Use the scanning function to read barcodes and QR codes. Voice recognition lets you enter data quickly when your hands are full. You can use the app to register a defect report on the spot and avoid any type of posting, giving you time for proactive work and staying ahead of the game. The easy-to-use app allows you to quickly find spare parts, suppliers, machine information and anything else in the system. Enjoy full control over the workflow directly from your smartphone. 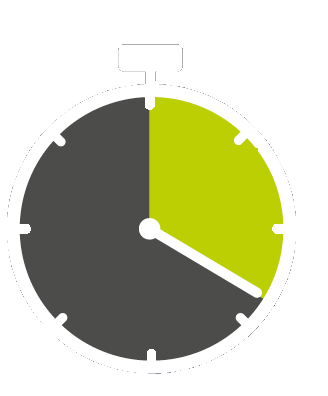 Thanks to the app, you can save 20 minutes a day, which on an annual basis is equivalent to almost two working weeks. More precisely, 73 hours that everyone can devote to boosting production and improving profitability. Check out this page to learn more about how to use the MaintMasters app. Want a 30-day free trial? All you need is an invite. You can reach MaintMaster wherever you are, whatever platform you use.